Alan Boyle reports that Stratolaunch is laying off about 50 employees and has dumped plans for development of a series of new air-launched boosters (seen in picture above). The decision comes three months after the death of Paul Allen, who is funding a project being led by Northrop Grumman’s Scaled Composites. The company said it would continue work on the world’s largest airplane, which is designed to serve as a flying launch pad for rockets. Last week, Stratolaunch put its 385-foot-wide, twin-fuselage plane through a high-speed taxi test that many saw as a precursor for its first test flight at Mojave Air and Space Port. Employees were told today that more than 50 people were being laid off as a result of the streamlining strategy, according to two sources who aren’t employed by Stratolaunch but are familiar with the operation. The sources, speaking on condition of anonymity, told GeekWire that about 20 employees were staying on to work on the plane and prepare for the flight test. The Pegasus XL is a small satellite booster capable of carrying 443 kg (977 lb) to orbit. The rocket often carries government payloads and flies infrequently; it has flown only five times in the last 11 years.Pegasus XL is currently launched by a modfied L-1011 aircraft that is parked just down the taxiway from where the Stratolaunch plane is housed at the Mojave Air and Space Port in California. The Pegasus XL’s low production rate has driven up the cost of the booster. NASA is paying approximately $56.3 million for the launch of its Ionospheric Connection Explorer (ICON) mission, which is scheduled for later this year. The price “includes the firm-fixed launch service costs, spacecraft processing, payload integration, tracking, data and telemetry and other launch support requirements,” the agency said in a press release. It is not clear whether Stratolaunch will be contracting with any other companies to produce additional boosters for the aircraft. It previously pursued projects with SpaceX and Orbital Sciences Corporation (now Northrop Grumman Innovation Systems). Neither of those efforts came to fruition. That’s a shame. I had a feeling Paul’s death would gut this company, and that appears to be the case. Hope they can at least put that giant plane to good use…doing something. Perhaps in the future, if 2019 is a good year for Virgin Galactic, they would buy this plane for a even bigger SpaceShip3, and this would be it’s white knight 3. 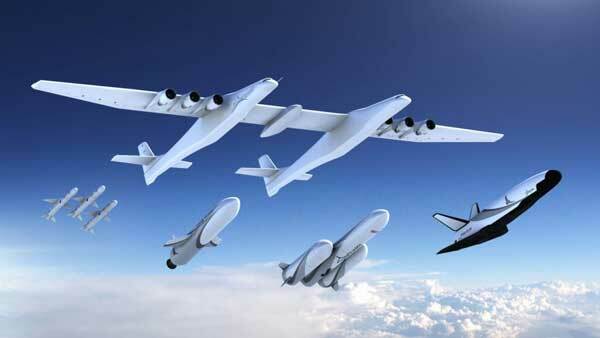 Looks like the beginning of the end for Stratolaunch. The way I read their ‘demonstration launch’ of the Pegasus, it will likely be a one-off. Frankly there is no reason to do another. Perhaps build the cargo pod shown in their original concept. Problem: the runway requirements. They’ve had 7 years (since they came out of stealth, longer before that) to get their act together on the booster. They’ve got Pegasus and some rockets still years away from flying that will require substantial investment. What’s the market going to be when they get those things flying? The whole project is already years behind schedule. Similar to mistake Rutan made with SpaceShipTwo. Didn’t have the rocket figured out before they built the flying machine. He didn’t learn anything. Yes, it is a common theme through the history of aviation. Good airframes are useless without a suitable engine. Engines on paper don’t count. That is too bad. It’s sad since Paul Allen really wanted to move space technology forward, but he fell in with Burt Rutan who didn’t have a clue about rockets viewing everything as a X-15 spin off. AN-124’s and the AN-225 keep getting work. A cargo module might give this plane a life. Maybe, but it’s extreme span and gear width will severely restrict where it can operate. It’s about time the joke of jokes, that is air launch, flops into the garbage can of history. its hard to see, other than military launch on demand that this product has any unique characteristics that substantially lower cost. That is not how the Wall Street analysts see Tesla. But then someone use to the old government contractor paradigm wouldn’t understand the idea of productivity increases resulting in lower prices and greater competitive advantage. True, but other countries with very high gas taxes will likely continue to import US built Teslas even as low US gasoline prices impact domestic demand for EVs and hybrids. Or Telsa will build new factories those nations to avoid their high tariffs on imported vehicles. The question would be the vehicle range fully loaded. I’d say Burt underappreciated the challenges in propulsion development. depends… If you buy a lot of Pegasi, they have to be a good deal. That salvo launch of 3 pegasi is sort of the ultimate small launch salvo. I’m mumbling to myself a bit about viewing “new space” through purely economic eyes. Who’s the typical “purchaser” of spacecraft these days, after all? Maybe a Vice President at AT&T looking at estimates of future comsat usage — not exactly the same as a housewife squeezing lemons at Krogers. Maybe a US Congressman asking himself if conservative voters in his hometown will try to oust him in the next primary if he votes for spending three billion dollars over the next twenty years on climate monitoring spacecraft? A VFW post taking in $20,000 of contributions from the members to finance shipping 2 ounces of the previous leader’s ashes into space because everybody loved him and he was a huge Star Trek fan? A European politician mumbling to himself that building a lunar settlement would do more for the economic health and political sanity of the continent than constant debate about accepting Muslim refugees? What’s Adam Smith got to say about this kind of “market”? What did Keynes say? What did Paul Samuelson and Milton Friedman say? Or Paul Krugman or Gregory Minkow? I mean … once upon a time, we built a couple hundred nuclear attack submarines just to wipe out the Soviet Union, because everyone in American just knew that was what a free market economy demanded, and now we all understand there isn’t and shouldn’t be ANYTHING but economics to decide what human beings should do about anything, we’re all agreed on this whether liberal or conservative, so what should we do? what does the science of economics DEMAND that our space programs do? Sad thing is, that his sister took control. I am sure that Paul likely said go with it, and she is now gutting things in a fashion that he would not want. I wonder what payloads are on WK2 vs this. Yup. So, it will be limited to places like military bases, Kennedy, Denver, etc. uh no. they are doing the base one and using chinese battery/parts. The battery will probably cost more, but the parts will likely be cheaper. And this is the 35K model. I did not hear about Boeing issues. I assume you are talking the 787 tail that they allowed CHina to do. Yes? Right. But are you aware of any issues? Keep in mind, that the outsourcing that mcnearny did was a disaster at every place that idiot worked. He is just another foolish MBA without a single brain cell. You wont find me defending him. That might have been the idea from the get go. Can’t wait to see the bunker buster this thing was really meant for. I’m missing something. What does runway lengths have to do with bombs? Well, first this turkey must demonstrate that it can actually fly, not just taxi. And that will not end well.